I have been a lover of Lush for years. 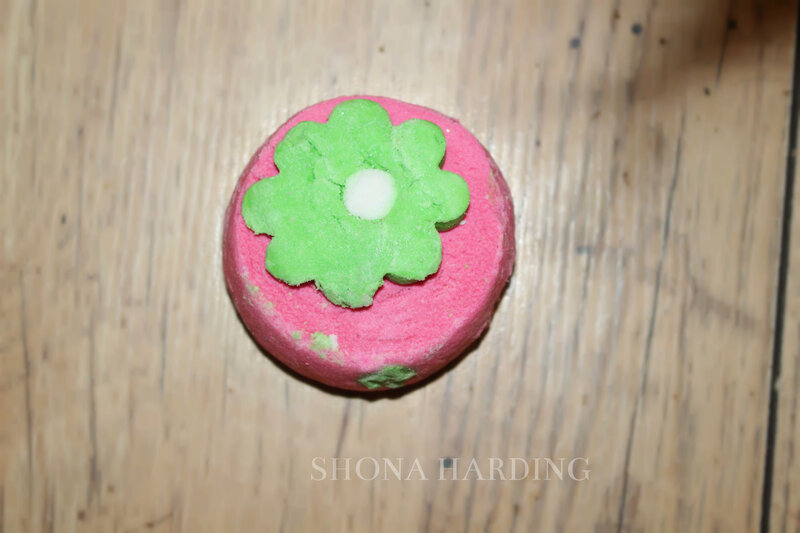 I think my first encounter of Lush was when I was fourteen years old – which is nearly six years ago now! 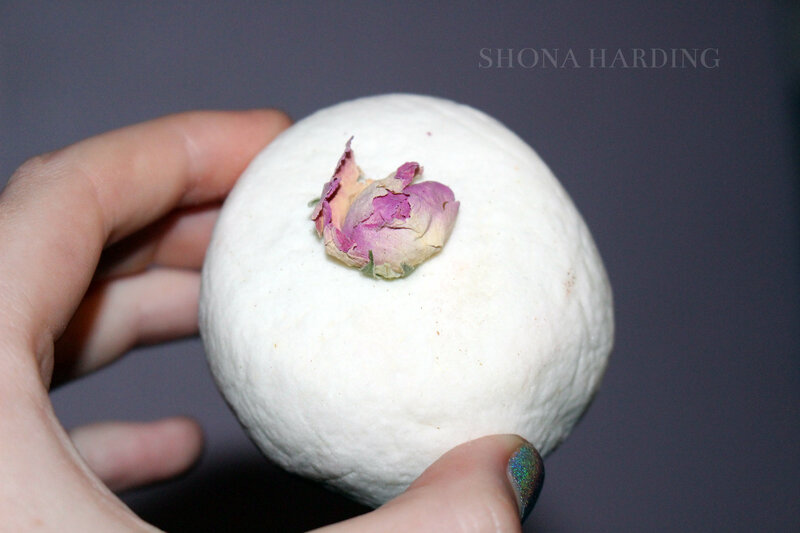 I would always go for the bath bombs because I knew they were good and I loved how they changed the colour of your bath and made it seem more personal and kind of reflected the mood you were in at the time. However, over Christmas I asked for the “Dear Santa” gift box which included the obvious bath bombs but also soaps, shower gels and bubble bars. When I first used my bubble bar “Holly go Lightly” I didn’t realise it was a bubble bar until I found it wasn’t dissolving like all the others. I took it out and ran it under the tap and suddenly bubbles were everywhere! It was amazing! And what I loved more was that you didn’t just use it up in one go but you can use it again and again – I got about five more baths out of this one product. This was the moment I knew I had to buy more so when I went to Bath (not supposed to be a pun) for my friend’s birthday I picked up three that I had been eyeing up for a while. The first one I picked up was the “Brightside” bubble bar. 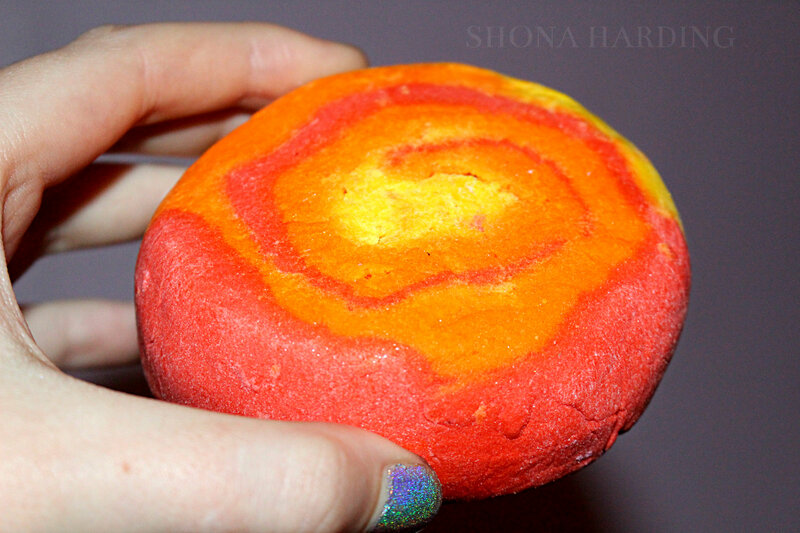 I absolutely love this bubble bar because of how bright and colourful it is – it definitely reminds me of summer! I also love how it smells of citrus fruit, and if you get me near a citrus smelling product I will not leave it alone! When I found out they did grapefruit yankee candles I didn’t want to leave the store. What I also love about Brightside is how big it is! It’s such a large product I know I’m going to get a lot of use out of it and it is definitely worth the money. The second one I picked up was the “Pop in the Bath” bubble bar. What I love about this one is they actually have four different colours, and I think three colour combinations (I may be wrong, let me know! ), of course I had to go for the brightest one. This product smells so good and again has citrus scents in it which I couldn’t resist. The way it looks as well…doesn’t it just scream summer? 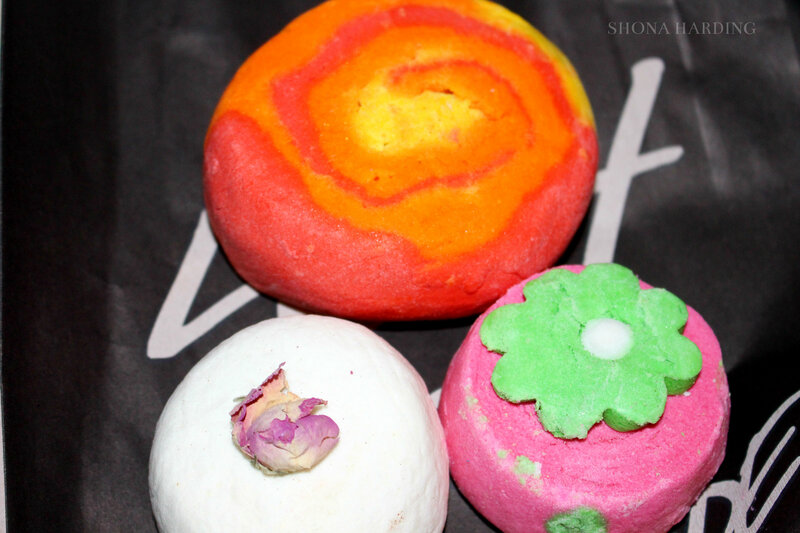 The last bubble bar I picked up was the “Amandopondo” bubble bar – what does that name even mean?! I picked this one up because I was feeling very girly that day and this seemed incredibly subtle but girly at the same time. The dried rose on the top really adds to the idea of this and as it has rose absolute in it, it seems like it’d make a lovely, relaxing bath. I was quite surprised at how cheap these products were, especially as you get so much out of them. The second and third bubble bars were only around 2.75 each, and, even though they are smaller I can tell I’ll get quite a lot of use. Finally, I wanted to finish up with saying that myself and a friend were given the chance to see the new Lush spa’s that are dotted around the country. Our nearest one is Bath and it is stunning. I urge you to go see your local Lush spa, even just for a look round, just to see what they have to offer as they seem amazing. My friend and I decided we’d need a good old ‘end of uni’ catch up spa session! What’s your favourite Lush products? Let me know and I’ll have to try them out!